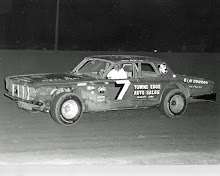 2004 - Jason Johnson passed both Danny Smith and Jim Melius on the final turns of the final lap to win the Interstates Racing Association (IRA) feature at Kankakee Motor Speedway on June 18. Smith had led all of the 25-lap feature and appeared to have things locked up until a caution with four laps to go bunched up the field. Melius tried to make his move on the green flag but couldn't allowing Johnson to try the high side and get by both drivers in turns three and four. 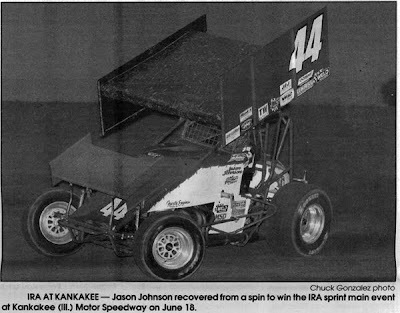 Johnson was out front for only the last 60 yards but took home the first place money in the first-ever appearance of the IRA at Kanakee. 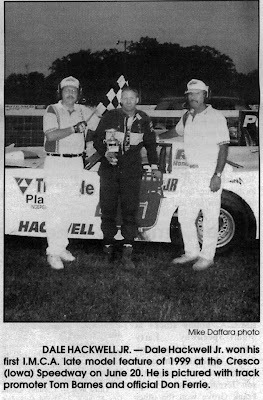 1999 - Dale Hackwell Jr. and Dan Bohr were feature winners at the Howard County Fairgrounds in Cresco, Iowa, on Sunday, June 20. 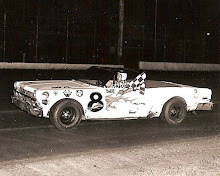 In the modified main, Bohr passed Ken Hofner on a restart with two laps remaining to score his fourth consecutive victory. Chuck Stanton would finish second. In the IMCA late model 25-lapper, Hackwell would lead flag to flag in winning his first feature of the season. 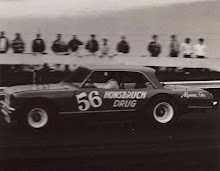 Jim Gallery and Greg Bruening would follow Hackwell to the checkers. 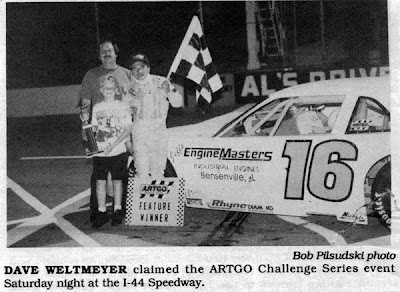 1994 - Dave Weltmeyer outran Jon Lemke to capture the ARTGO Challenge Series 100-lap event at I-44 Speedway in Lebanon, Mo., on Saturday, June 18. Matt Kenseth would take the initial lead only to be passed by Weltmeyer on lap 6. Lemke quickly settled in behind Weltmeyer and for the next 75 caution-free laps the top two pulled away from the rest of the field. Weltmeyer took the checkers a couple of car lengths in front with Lemke, Steve Carlson, Kevin Cywinski and Larry Schuler rounding out the top five. 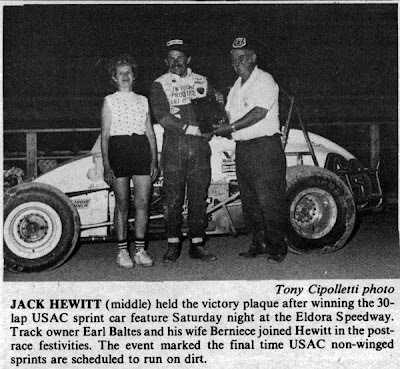 1988 -Jack Hewitt pulled off the tri-fecta, winning three sprint car features over the weekend. Hewitt would collect $5,000 in winning the All Star Circuit of Champions feature on the half-mile at Mid-States Raceway in White City, Ill., on June 17. 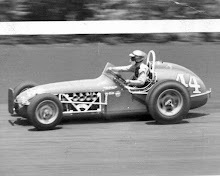 On June 18, Hewitt would win his third straight USAC sprint car feature at Eldora Speedway in Rossburg, Ohio on June 18. Hewitt would pass Kevin Huntley on lap 18 of the 30-lap A-main to score the victory. Hewitt would receive an extra $2,000 from J.W. Hunt, the evening's event sponsor and Hewitt's sprint car sponsor as well. 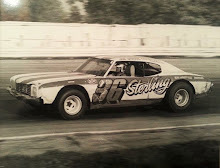 The next night, June 19, Hewitt would lead wire to wire in the 40-lap All Star Circuit of Champions contest at Whitewater Valley Speedway in Liberty, Ind. Hewitt's only serious challenge came from Joe Gaerte, who stayed within a few car lengths for the entire race but couldn't muster a pass.